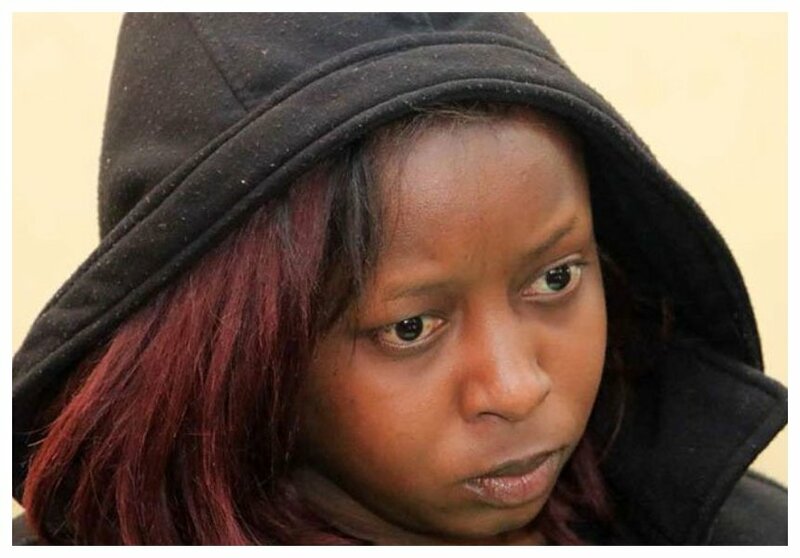 The die has been cast, Jacque Maribe now has God and her lawyers to save her from facing the death sentence for the murder of Monica Kimani. 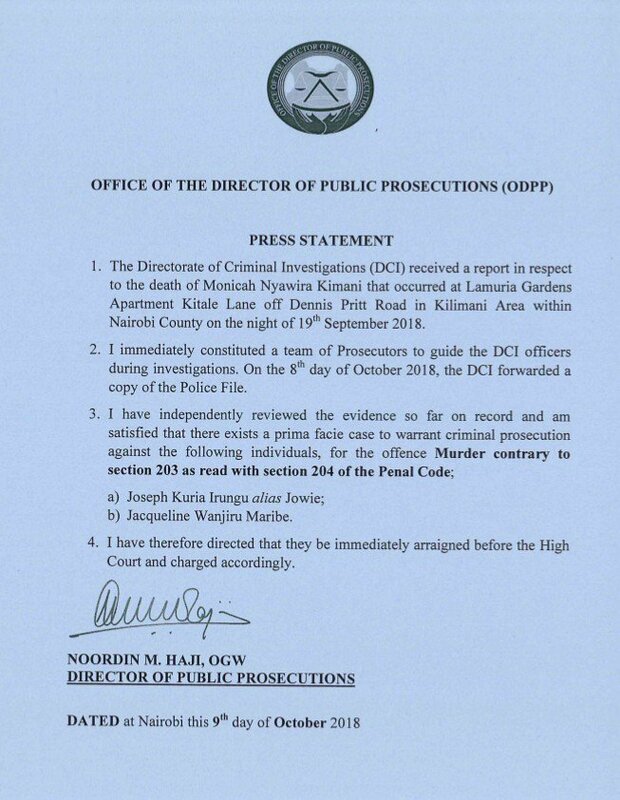 The Director of Public Prosecutions (DPP) Noordin Haji has given the green light for Jacque to be slapped with murder charges after reviewing the evidence gathered by detectives. “I have independently reviewed the evidence so far on a record and ma satisfied that there exists prima facie case to warrant criminal prosecution against the following individuals, for the offence Murder contrary to section 203 as read with section 204 of the Penal Code. b) Jacqueline Wanjiru Maribe,” wrote the DPP. Murder, treason, oathing for criminal activities by proscribed criminal outfits, robbery and attempted robbery with violence are the five crimes classified as capital offences in Penal Code. The law prescribes death as the only sentence for convicts of such five offences. If found guilty by the court, Jacque Maribe will likely to spend the rest of her life in prison because the last people to be hanged were 1982 coup plotters. In June 2018 Miss Lang’ata Prison Ruth Kamande who stabbed her boyfriend multiple times was handed the death sentence by the court.